Lock in a great price for Elounda Beach Hotel & Villas, a Member of the Leading Hotels of the World – rated 9.2 by recent guests! Perfect vacation in a perfect resort. 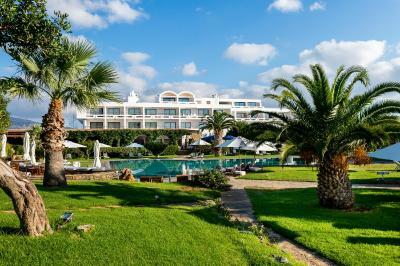 Staff was very nice and helpful, beautiful surroundings, luxury room, amazing private beach. Excellent breakfast-buffet, friendly staff at breakfast. Excellent cuisine and staff at the japanese-peruvian restaurant. Good cuisine and friendly staff at the main restaurant. Very good local cuisine and very friendly staff at the Krete - Tavern. The service reacted very flexible, when I came late because of an error with the time zone. They performed magic and prepared one of the most abundant breakfast I ever had although the buffet had been removed. Die Lage direkt am Meer ist unschlagbar. Strände mit Sand sind vorhanden. In der letzten Oktober Woche war es absolut ruhig, da nicht einmal die Hälfte des Hotels belegt war. Bei der Anreise gab es dann auch netterweise ein Zimmerupgrade. Alle waren sehr freundlich und bemüht. Da nicht mehr alle Restaurants und Bars geöffnet waren, kann ich darüber nicht berichten. Das Frühstück war umfangreich. Es gab griechische Spezialitäten und englisches Breakfast und eine Station für frische Eierspeisen und Kaffeespezialitäten. Das Essen war ok, aber es geht qualitativ auf jeden Fall besser. Огромная ухоженная территория, прекрасные номера и завтраки. Большой выбор ресторанов на любой вкус. Отличный сервис на пляже. Grosszügige parkähnliche Anlage, ruhige und geräumige Zimmer, reichhaltiges Frühstücksbüffet, Dinner in verschiedenen Restaurants ohne Massenabfertigung, gepflegter Strand. Elounda Beach Hotel & Villas, a Member of the Leading Hotels of the World This rating is a reflection of how the property compares to the industry standard when it comes to price, facilities and services available. It's based on a self-evaluation by the property. Use this rating to help choose your stay! 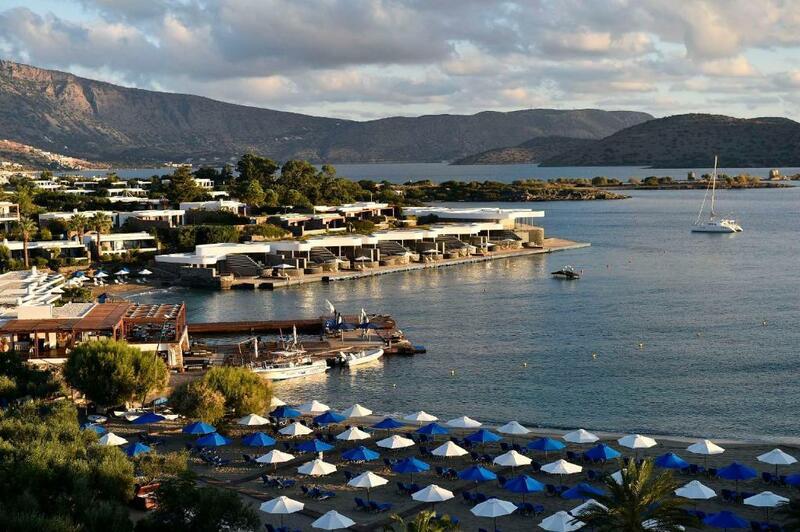 Located on the northeast coast of Crete, the seafront Elounda Beach Hotel & Villas, a Member of the Leading Hotels of the World, features 5 tennis courts, basketball and volleyball courts and a spa center with gym, hammam and steam bath. Hotel facilities also include a variety of restaurants serving international and Mediterranean cuisine, and 4 bars. Free WiFi access is provided throughout. The modernly decorated and luxurious rooms, suites and bungalows of Elounda Beach Hotel & Villas offer views over the lush gardens or the Mirabello Bay. Each comes equipped with air conditioning, safe and a flat-screen TV with DVD player. The luxurious bathrooms include bathrobes, slippers, free toiletries and hairdryer. Breakfast buffet is included. Guests can choose among a wide range of personalized body and facial treatments available at the Espace Vitalité Chenot Spa, which includes a medical, a hydro bi-ontology, an aesthetic and a wellness department. An outdoor pool, filled with sea water, is also featured on site, while activities and facilities for children are also provided. Guests can book sightseeing excursions to explore area ruins and attractions, such as Knossos Palace, 47 mi from Elounda Beach Hotel & Villas, a Member of the Leading Hotels of the World. The seaside town of Agios Nikolaos Town is 4.3 mi away and Elounda Village is 1.2 mi away. Heraklion International Airport is at a distance of 40 mi. 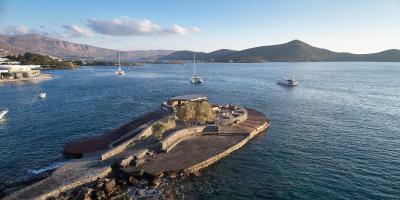 This property also has one of the top-rated locations in Elounda! Guests are happier about it compared to other properties in the area. 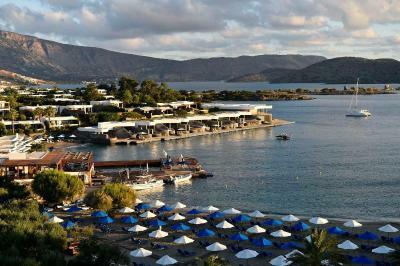 When would you like to stay at Elounda Beach Hotel & Villas, a Member of the Leading Hotels of the World? 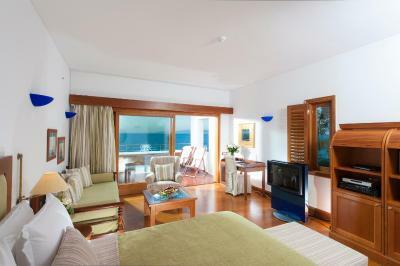 These suites are located either in the Elounda building or the Imperial Spa Building. They are composed of one bedroom and a sitting area in an open plan style. The luxury bathroom is equipped with a TV, some with a Jacuzzi bathtub and some with separate shower cabin with a steam bath feature. 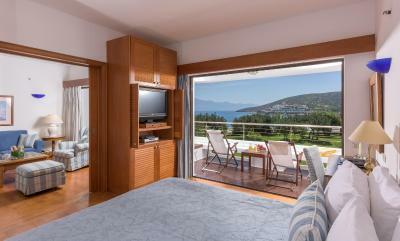 The comfort of the suites extends onto an exquisite private balcony. Special features include a CD system, and WiFi. Rates include Breakfast Buffet in the main restaurant & a 3 course a la carte dinner, per day, nontransferable, in all the resort a la carte restaurants (excluding beverages) or dinner buffet in "Artemis" main restaurant (excluding beverages). 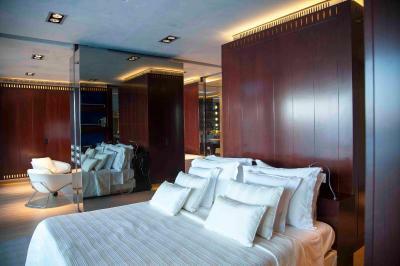 Spacious, luxuriously decorated suite enjoying a prime location right on the waterfront. 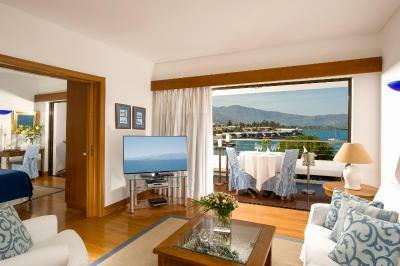 It consists of an open-plan bedroom with living room and an private bathroom with TV. 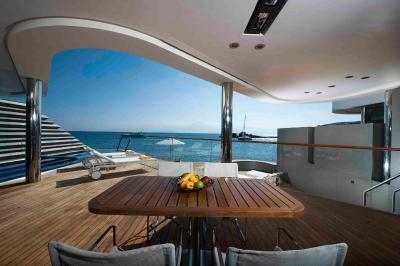 The private terrace leads to the beach or a seafront platform. Rates include Rich American Breakfast Buffet in "Artemis" main restaurant and with the supplement of 40€ per adult and 25€ per child, per day, nontransferable, guests can enjoy a 3 Course dinner in all the resort a la carte restaurants or dinner buffet in the main restaurant (excluding beverages). 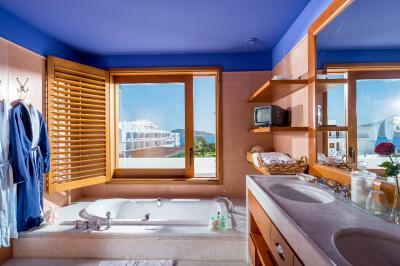 Featuring views over Mirabello Bay from its private balcony, this suite offers a spa bath with hydromassage facilities and a steam bath. 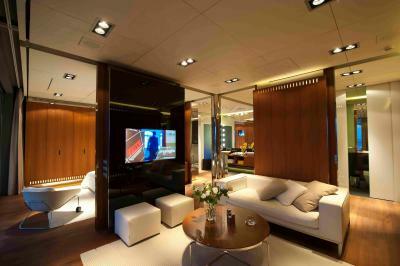 It consists of a spacious bedroom and a seating area with a flat-screen, satellite TV. 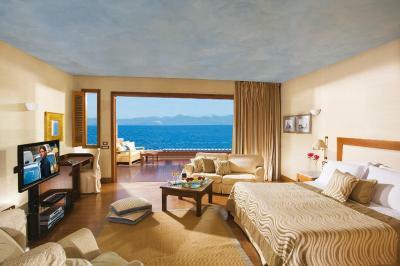 Offering panoramic views over Mirabello Bay from its balcony, this air-conditioned room comes with a flat-screen, satellite TV. A mini-bar and a bathroom with TV are included. 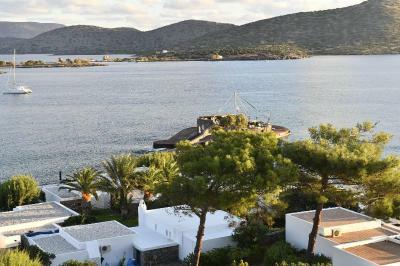 Offering views over Mirabello Bay from its patio, this open-plan, air-conditioned bungalow comes with a flat-screen, satellite TV. A mini-bar and a bathroom with TV are included. Offering views over the garden from its balcony, this air-conditioned and elegantly decorated room comes with a flat-screen, satellite TV. 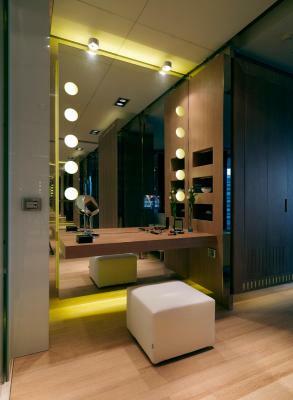 A mini-bar and a marble bathroom with TV, bathrobes and slippers are included. 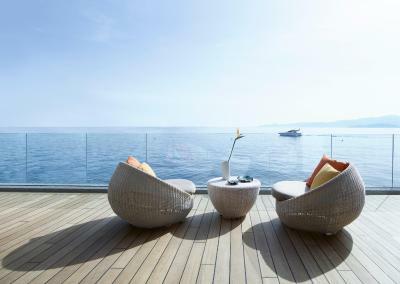 Offering panoramic views over Mirabello Bay from its balcony, this air-conditioned room comes with a flat-screen, satellite TV. A mini-bar and a marble bathroom with bathrobes and slippers are included. 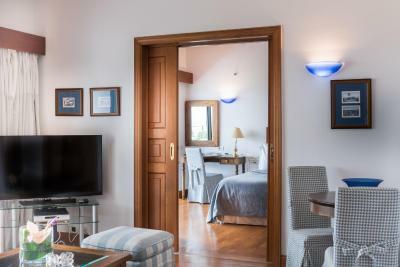 Featuring a shared pool with a patio overlooking Mirabello Bay, this air-conditioned room consists of a spacious bedroom and a living area with flat-screen, satellite TV. A mini-bar and a marble bathroom are included. Please note that the pool can be heated upon request, at extra charge. This double room has a balcony, satellite TV and DVD player. 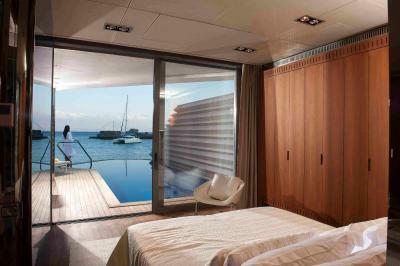 TGenerating a wonderful feeling of space, the Wellness Waterfront Island Suites are made up of an open-plan living room and bedroom, and one bathroom with a spa bath, a separate shower cabin with steam bath and a TV. 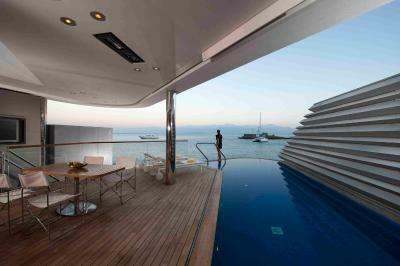 The terrace leads to a platform designed exclusively for these suites with direct access to the open sea. Ideal for those who enjoy keeping fit during their holiday, the suite offers modern gym equipment. High technology facilities include Wi-Fi and a CD system. 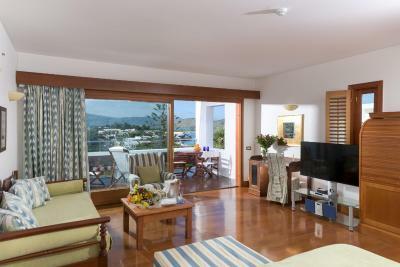 These Suites are located either in the Elounda Building with balcony or in bungalow format with garden and are composed of one bedroom and a spacious living room either in open plan style or as separate rooms and one or two bathrooms. 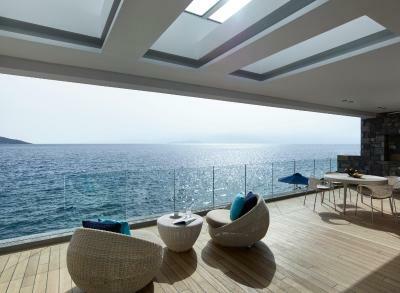 Enjoy the sea view from the spacious balcony or relax in your own garden. The suites include special features such as a spa bath, a separate shower cabin, in most with a steam bath, a TV in the bathroom and high technology facilities such as Wi-Fi and a CD system. 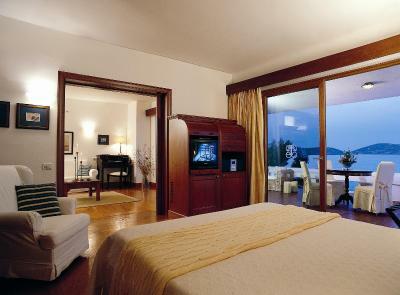 The Presidential Suites are laid out in either open-plan style or as separate rooms. They are composed of a spacious and relaxing bedroom, and a graceful living room, designed to actualize a feeling of true serenity. 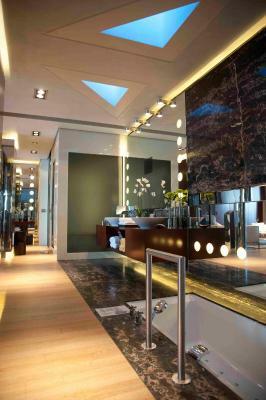 The Presidential Villas have either one or two comfortably sized, marble lined bathrooms. 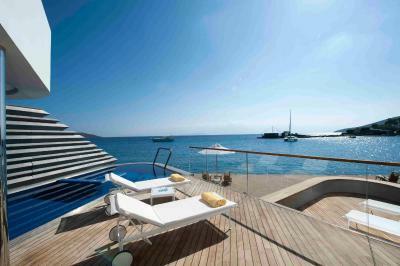 These magnificent and roomy villas also offer a private, temperature controlled swimming/whirlpool that has a “counter current” feature and a platform created exclusively for your accommodations that offers direct and easy access to the sea. Special features include spa bath, steam bath, some with separate dressing room, TV in bathroom, laptop, Wi-Fi, CD system and DVD player. From the leather wrapped ceilings, teak wood flooring to the private movie theater and hydro massage, every detail has been designed to ensure the ultimate vacation experience. This accommodations is available in the Elounda building and is composed of 2 bedrooms, a separate living room, which can be used as 3rd bedroom and 2 bathrooms with TV, one of them with spa bath and separate shower cabin, some of which have a steam bath feature. The comfort of the suites pours onto an exquisite private balcony with a sitting area. Special features include WiFi and a CD system. This accommodations is available in the Imperial Spa building and is composed of 2 bedrooms each with a sitting area and 2 bathrooms,each with a TV, spa bath and separate shower cabin with a steam bath feature. The comfort of the rooms pours onto an exquisite private balcony or garden with a sitting area. Special features include WiFi and a CD system. This accommodations is available in the Imperial Spa building and is composed of 2 bedrooms each with a sitting area and 2 bathrooms, with a TV, spa bath and separate shower cabin with a steam bath feature. 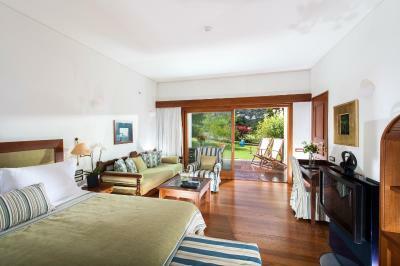 The comfort of the rooms pours onto an exquisite private balcony or garden with a sitting area. Special features include WiFi and a CD system. House Rules Elounda Beach Hotel & Villas, a Member of the Leading Hotels of the World takes special requests – add in the next step! 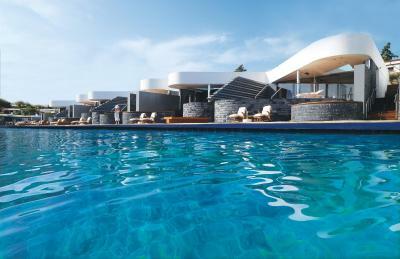 Elounda Beach Hotel &amp; Villas, a Member of the Leading Hotels of the World accepts these cards and reserves the right to temporarily hold an amount prior to arrival. 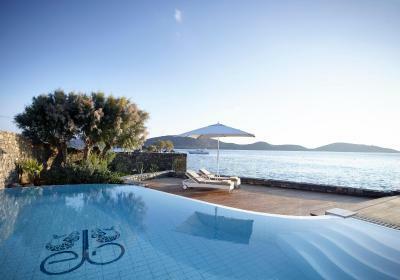 Elounda Beach Hotel & Villas, a Member of the Leading Hotels of the World accepts these cards and reserves the right to temporarily hold an amount prior to arrival. Breakfast and Dinner rates include rich American Breakfast Buffet in hotel’s main restaurant "Artemis" and 3 Course a la carte dinner in any of the resort’s a la carte restaurants, excluding beverages. Breakfast rates include rich American Breakfast Buffet in hotel’s main restaurant "Artemis". 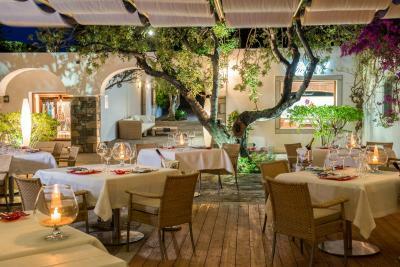 With a supplement of 40€ per Adult and 20€ per Child, per day, nontransferable, guests can have 3 course dinner in any of the resort’s a la carte restaurants, excluding beverages. Food was awful in two of the restaurants (Italian, and asian fusion). We managed to find one restaurants which had good food and stuck to it for the rest of the trip (the Fine Dining Mediterranean). I suggest not taking the half board. It put a dumper on the general upscale experience this place provides and I hope they can improve. Bathroom appliances in Room 410 need to be upgraded. The entrance door was not working properly, the faucet in the shower did not work, a staff member came into the room without permission when we were in the room, it was very rude and very annoying! Italian restaurant service was not good. 2 of the restaurants were closed on Sunday which was not made clear. Staff. Room. Food. Landscaping. Pool.